In early April, the Financial Post published a letter addressed to Prime Minister Stephen Harper and signed by 60 “accredited experts in climate and related scientific disciplines,” as they describe themselves. They want Harper to begin a debate on the Kyoto Protocol. Begin a debate? What do they think has been happening since 1988, when US National Aeronautics and Space Administration scientist James Hansen testified before the US Congress that he was “99 percent certain that global warming was here.” That statement has been subjected to extensive, prolonged and worldwide scrutiny ever since. The letter is classic climate change denial and among the 60 signatories — only 19 of whom are Canadian — are the most prominent climate change sceptics, as they are frequently called. The deniers’ letter was followed two weeks later by one from 90 supporters of Kyoto. This group calls itself “climate science leaders from the academic, public and private sectors across Canada.” No foreigners, no weasel phrases like “related scientific disciplines” (economics? agronomy?). Their point? The evidence is conclusive that warming has occurred and most of it is attributable to human activity. These conclusions, they say, are supported by the vast majority of the world’s climate scientists. Harper’s assignment is to get on with developing an “effective national strategy” to deal with climate change. Financial Post editor Terence Corcoran seems to think that more debate is required. He did run the letter from the Kyoto supporters but accompanied it with an editorial attacking their credibility. Their crime is that some of them are federal government scientists and some have received peer-reviewed government grants. Therefore, what they have to say must be rubbish. The problem with libertarians like Corcoran is that they can be so blinded by their ideology — anything government does is bad — that they don’t see the problems a powerful corporate sector can cause. Call it a case of libertarian looneyism. The 60 deniers had no Corcoran editorial accompanying their letter. A question Corcoran might have asked is how many of the deniers are funded by Exxon Mobil and the coal industry? It’s a natural question to pose. The fossil fuel industry doesn’t want mandatory limits on CO2 emissions because they would affect profits. It wants Canada and the rest of the world to do what George W. Bush did, establish voluntary standards and provide government subsidies to develop cleaner technologies. To update his knowledge on this issue, Corcoran could read the works of Ross Gelbspan, who has been covering climate change for more than a decade as a reporter for the Boston Globe. Gelbspan discovered in 1995 that some of the leading skeptics were funded by the coal industry. He wrote a book in 1997, The Heat is On, and runs the companion web site, The Heat is Online. Gelbspan’s recent book is Boiling Point: How Politicians, Big Oil and Coal, Journalists and Activists are Fueling the Climate Crisis — and What We Can Do to Avoid Disaster. Corcoran could also check out the May/June 2005 issue of Mother Jones, which tabulated the organizations that received funding from Exxon Mobil between 2000 and 2003 to fight CO2 emission controls. And he could look at the SourceWatch site created by John Stauber and Sheldon Rampton. Using these sources, Corcoran could put together some interesting profiles of the skeptics. Sallie Baliunas is a non-Canadian signatory to the deniers letter. She is a Harvard-Smithsonian Institute astrophysicist who has been giving global warming deniers scientific cover since the mid-1990s. She is a senior scientist at the George C. Marshall Institute (received $310,000 from Exxon Mobil). 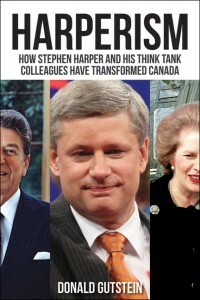 She co-wrote (with colleague Willie Soon, who did not sign the skeptics letter) the Fraser Institute pamphlet “Global warming: a guide to the science.” (The Fraser Institute receives $60,000 a year from Exxon Mobil.) Baliunas is “enviro-sci” host of TechCentralStation.com (received $95,000 from Exxon Mobil) and is on science advisory boards of the Committee for a Constructive Tomorrow ($252,000) and the Annapolis Center for Science-Based Public Policy ($427,500). She has given speeches before the American Enterprise Institute ($960,000) and the Heritage Foundation ($340,000). The Heartland Institute ($312,000) publishes her op-ed pieces. Why is Exxon Mobil so taken with Baliunas? With her colleague Willie Soon, she first claimed that solar effects could account for the earth’s warming. When that theory was debunked, they next wrote a paper, partially funded by the American Petroleum Institute says Mother Jones, that claims the twentieth century hasn’t been all that warm. The paper quickly became a mini-bible for deniers. But the editor of the journal where the paper was published resigned, saying it never should have been published because of a deficient peer-review process. Exxon Mobil has been astonishingly successful in delaying action on global warming for more than a decade. During that time, oil revenues soared, Exxon took over Mobil for US $82 billion and in 2005, the combined company earned the largest profit in human history at $36 billion. That was the year Exxon Mobil CEO Lee Raymond retired. As thanks for his work on behalf of shareholders — the stock price soared over 500 percent over the decade — he received a retirement package valued at nearly $400 million. Closer to home, one of the 19 Canadian signatories to the skeptics letter is Tim Ball, a retired professor of climatology from the University of Winnipeg, now living in Victoria. As a global-warming sceptic, he is in high demand by the front groups sponsored by the fossil fuel industry. Undistorted records in hand, Ball is promoted by the National Center for Public Policy Research ($225,000 from Exxon Mobil), and Tech Central Station (which also receives support from General Motors). He’s a hot topic on the Coalblog web site, sponsored by the coal companies. In the past year, he’s given policy briefings to the Fraser Institute and the Frontier Centre for Public Policy in Winnipeg. You could have found him and Baliunas at a conference in Ottawa in November 2002, just days before parliament ratified the Kyoto Protocol. That conference, urging the government not to proceed with ratification, was paid for by Imperial Oil (Exxon Mobil’s Canadian subsidiary) and Talisman Energy and put together by public relations firm APCO Worldwide. An APCO specialty is supporting rogue scientists who are financed by industry and purport to challenge established scientific thinking. APCO organized The Advancement of Sound Science Coalition, which was originally funded by the Philip Morris Company, to attack epidemiological studies which implicated environmental tobacco smoke in slightly increased rates of lung cancer in non-smokers. Such studies could not be allowed to stand, given the tobacco industry’s claim that harm from smoking was regrettable but due to individual choice, not second-hand smoke. This work was essential in Philip Morris’ efforts to limit the impact of passive smoking regulations. APCO then widened the financial catchment to include other companies with poisoning or polluting problems. The Advancement of Sound Science Coalition was so successful that it was assigned a lead role in opposing Kyoto. And that makes Jim Hoggan mad. Hoggan runs one of the largest PR firms in Western Canada. PR practitioners rarely criticize the work of their colleagues, but Hoggan pulls no punches in his scathing denunciation of the global warming deniers and their public relations advisors. Hoggan recently broke the story that one of the 19 Canadian deniers had recanted, saying he was misled about the letter’s content when he signed on. True, the Hoggan firm does work for organizations that do not spring to mind when thinking about environmental protection — Delta Land Development and Sea-to-Sky Highway Improvement Project, for instance. And organized labour would be no fan of his. He has an “extensive” background representing companies involved in labour disputes. And he has Partnerships BC as a client. But he’s not afraid to list his clients on his web site, in contrast to many PR firms. And Hoggan has a large pro bono practice in which he represents clients like the David Suzuki Foundation, one of the most consistent targets of the deniers. He’s also creating a market niche around the issue of sustainability. In a recent post, Hoggan discusses a column by Globe and Mail columnist John Ibbitson, who complains that here’s a letter from 90 scientists urging action; there’s a letter from 60 scientists urging Harper to ignore calls to action. “What’s a layman to do?” Ibbitson whines. It’s called bait and switch. We’re alarmed about the health of the planet our grandchildren will inherit. But (thanks to the lies and deceptions of the deniers) nobody can agree on what’s happening, let alone what should be done. So let’s do something that we can all agree on instead. Ibbitson’s column makes clear the political purpose of the deniers’ letter — to help Harper out of a tight corner. His goal of capturing a majority government depends on winning seats in Ontario and Quebec, the provinces where support for Kyoto is strongest. He could court their support by giving them Kyoto, but this would infuriate his oil industry masters. These are people like Gwyn Morgan, retired CEO of EnCana Corp., long-time Fraser institute trustee and generous Conservative Party funder who Harper placed in charge of vetting all senior government appointments. So obfuscate, confuse and divert attention to clean air is the order of the day. Why would 41 foreign deniers be concerned about what happens in Canada? Because what happens in Canada will shift the momentum towards or away from Kyoto. There’s a larger issue, too. In 2007, the UN’s Intergovernmental Panel on Climate Change is expected to warn governments that global warming could drive the Earth’s temperature far higher than previously forecast. And thanks to deniers for hire and newspapers like the National Post that spread their baloney, their task will be made that much easier. First published in The Tyee.